As the leading UK aluminium stockist, we can meet all your requirements; from source to finished product. With 2017 - 2018 seeing the introduction of not only new machinery and new software and equipment, but new departments and a growth in staff, we felt it was time to re think the corporate film. We wanted something different and dynamic, something that really illustrates the quality and standard level provided by Vision Profiles. you can avoid the excess costs and communication issues involved with multiple suppliers. You will simplify your supply chain, save plant space and reduce your operating costs. Founded in 1999, Managing Director Alan Grady has grown and developed the business into a multifaceted, multi-functional service provider. As the industry has evolved, Vision has moulded and adapted to suit the ever-changing needs within the Aluminium extrusion market. Vision profiles is a one stop shop, cutting out any middle man and managing its clients needs, all in house, on site in Gloucester. Vision aim to offer turn key solutions to all our clients’ needs and can only achieve this by being a complete one stop shop. 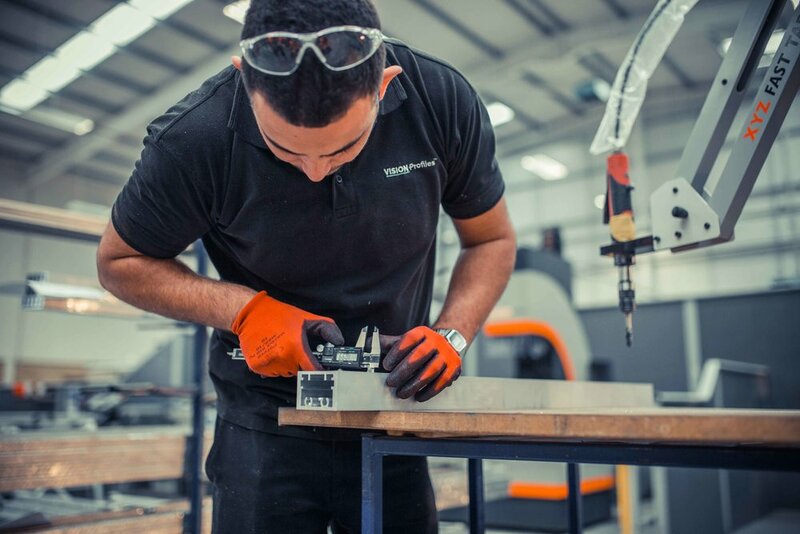 Fabrication, Kitting and Assembly, Stock Holding, and Vendor Management are all serviced and managed in house, by Vision, not subcontracted to other service providers. Vision prides itself on moulding the business to suit the clients needs, not what makes our lives easier. Thanks to our partnership with Cortizo, one of the best extrusion manufacturers and finishers in Europe, we can offer a complete supply of everything you may need. We only source from a single partner, Cortizo, we don’t offer a network of worldwide suppliers with no control on quality. Everything is manufactured within the Cortizo Group to the same high standards, guaranteeing consistent quality and reliability.